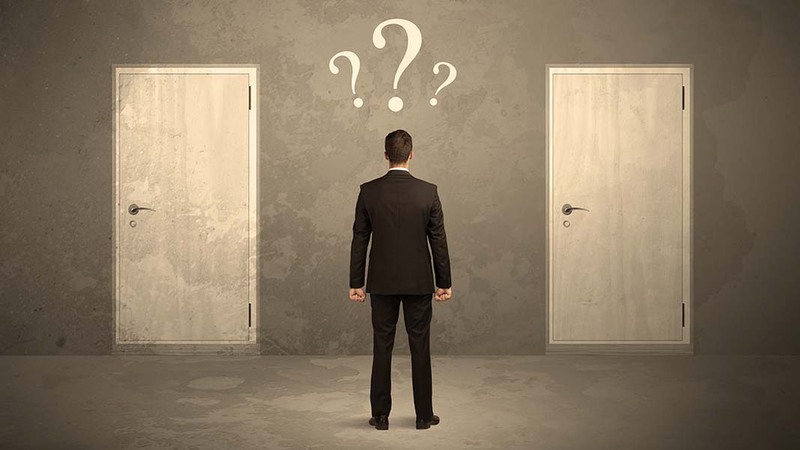 If you have been in management or an entrepreneur long enough, you will have experienced the gray area of decision-making where ethics, the law, your needs and expediency all collide. This is the time when you are paid the big bucks, and when others aware of your plight will be watching most carefully. It is also the time when you demonstrate your true courage to your contemporaries. Gray area decisions. Knowing the facts. I have a Ph.D. friend who teaches a graduate course in entrepreneurism at a local university. He uses the case method to place as many of these types of decisions in front of his students as possible each semester. And the responses from students are predictable. When faced with a gray area decision, the first response is to follow the letter of the law, the rules, the ‘right thing to do.’ The professor then injects one or more new facts into the case, and the students waiver, more and more as the new facts are analyzed, reducing their fervent enthusiasm for the “always right thing” stand. By the end of each case, most everyone has a position that has modified since the first impression. Then the professor reveals the action the company executive took to resolve the problem, often one not considered by the students. A gray example: Is it OK to do this? The senior manager, whether the CEO or CFO or head of shipping, walks over to the location where the shipment sits waiting for pickup, complete with paperwork waiting signature by the carrier driver. The manager picks up the paperwork, and using a blank page inserted into the stack, signs in place of the carrier driver. He then pulls out the now signed company copy and returns to his office with just that copy in hand. Within an hour, the bank receives a copy of the invoice with the signed shipping document attached, along with a very standard request to borrow the 80% of the invoice amount. The bank clerk approves, adds the amount to the loan and company’s cash account, and all is well. Or is it? Adding facts to the case. Decision changes? Invariably the students correctly point out that the company manager falsified a document, which surely is against the law since an invoice was pledged to the bank that was not represented by a completed shipment. After this discussion, the professor adds that he forgot to tell the students that the shipment made it to the dock minutes after the day’s carrier pick-up and that payroll is due tomorrow and the cash must be in the bank today to cover the direct deposits. The only way to get that cash today is through the credit line borrowing, and after all, the carrier will pick up the completed shipment tomorrow morning. Now the students debate ethics against legality against pragmatism. Some hold their positions. A missed day of payroll is a small price to pay for even this small breaking of the law. Others state that the reputation of the company as a reliable employer is at stake, and that the employee loyalty will be shaken if payroll is delayed for even one day. The students divide somewhat evenly over the minor infraction. Do we have all the facts? The balance shifts. Then the professor reveals that the shipment on the dock is only a small partial shipment but that the invoice that was pledged to the bank was for the entire amount of the order. Now the students debate whether the manager should be fired, or the bank informed of the obvious falsification. And the professor adds that the manager in this case is the CEO himself. Of course. The Kobayashi solution almost never surfaces. Interesting enough, no student has yet suggested the Kobayashi Maru solution (remember, Star Trek?) where the CEO merely thinks outside the box or changes the rules. The CEO could have immediately called the carrier and offered a significant sum, say $500 for a quick custom pick up of the partial order, or called for the current location of the driver and found a way to load the shipment into a car or truck to meet the driver, or even plan to drive to the carrier’s dock itself. You get the idea. Decisions go from black-and-white to gray to black-and-white again, based upon relative knowledge of the facts and of course, the law. Just as a personal test, what would you do if you were the manager? Or if you were the shipping clerk observing this happening regularly? Or if you were the bank auditor discovering that this was a regular practice? A CEO or manager’s life is not simple. But there are lines, both ethical and legal, that just cannot be stepped over, difficult as the result may be. Each of us is tested in subtle and sometimes very public ways often during our careers. It is a simplification to state that the “good guys finish first,” but looking back over long years of experience, there is a great deal of long term truth in that statement.